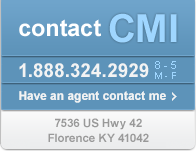 Founded in March of 1980 by Robert J. Lightner, CMI Insurance has worked hard to protect our neighbors and their families manage the risks and financial hardship that often comes from being hospitalized, accidents, cancer and other tragedies that effect so many people. We want to see your dreams realized and recover from the unexpected, living life to its fullest without worry or fear of being alone or without help. CMI Insurance has the right products that we have seen time and again provide the financial support needed and even help save the lives of people all across the nation that would have been lost without them and we want you to have that same peace of mind. The CMI team has strong principled values that we practice on a daily basis - quality, integrity, sincerity, and care. These are our shared values that guide us when helping our customers.